I’ve been fascinated by Argentine Tango for a while. The intensity, the focus, the precision, the musicality—it’s something that I’ve long admired, but has always had a “Look, but don’t touch,” quality for me. A few years ago, I tried to learn Argentine Tango, and talked myself out of it. “It’s too hard,” I told myself, “Too much following, I’m not that good of a follow.” I made countless excuses and would avoid dancing Argentine Tango if I was at a social dance event where it was played. I watch videos of Argentine Tango and am transfixed whenever I see someone dancing it live. Over the summer, I took an Argentine Tango class, and felt some of the walls I had put up around it start to weaken. It wasn’t as scary as I had made it out to be. Not quite as difficult. I started feeling like I might be able to get it. Finally, a few weeks ago, I got over myself and dove in. My boyfriend and I watched a Youtube video teaching the eight-count basic, and practiced in the kitchen. Feeling more confident after my impromptu “lesson,” I took a two-hour beginners boot camp and attended a milonga that same night. Every dance style and dance community has a different feel, a different flavor, a different culture. I barely dipped my toe into the vast ocean of Argentine Tango, but exploring it felt like discovering a brand new world. For the uninitiated (like myself), it’s quite unlike most social dances. My social dance of choice is Salsa, and I had to “forget” a lot of what I know about Salsa to begin to learn Tango. The most difficult part of learning Tango for me, but also the most exciting, is it’s improvisational nature. It essentially has no set steps or timing. Instructors have codified steps and sequences so that they are able to teach, but the way I understand it, Argentine Tango is sort of the Wild West of social dancing. 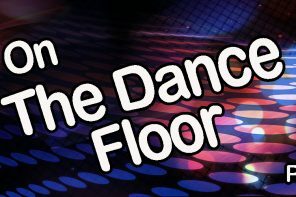 In theory, you can do whatever you want as long as you stay in the line of dance (moving counterclockwise around the perimeter of the dance floor). For someone who’s had the “1-2-3, 5-6-7” Salsa Basic drilled into my body and brain for almost a decade, having no basic step to return to and no set timing to fall back on is equal parts confusing and liberating. Confusing, because you can’t rely on the muscle memory of the basic and “catching up” with the rhythm to catch you if you mess up. But also liberating, because Tango reminded me more of non-social dances, like ballet, contemporary or modern. Steps in non-social dances like those can be danced with whatever timing fits with the music or the choreographer’s vision—there’s much more freedom in the musical interpretation. Dancing Tango felt like the social dance version of a non-social dance—still connected with your partner, but with a whole world of musicality to explore. Tango seriously forces you to be in the moment. To focus. To be absolutely present with your partner and the music. Although all social dancing requires focus and presence to lead and follow, Argentine Tango felt like it took that requirement to the next level. Of course, I am a brand new beginner Tango dancer, so it’s all new and exciting for me right now. But I love how much focus is required for Tango. One of the main reasons that I dance is because it occupies my mind and keeps it centered on one thing. Dance is a form of moving meditation, and Argentine Tango feels like an especially focused form of that. I spoke with a friend of mine who dances Salsa and Tango, and we had a hard time articulating how the energy is different between the two dances. He said every time he dances Tango, he tries to create the best connection possible with his partner. I think that’s the idea in all social dances, but it seems that the nature of Argentine Tango lends itself especially well to a strong connection between partners, because they have to be really in tune with each other for the dance to succeed. Another reason I think that the connection is stronger is because of the form of a milonga. Most social dance etiquette says that after one dance, you should move on to another partner, but Tango is danced in sets of three songs called a tanda. You stay with the same partner for three songs in a row, and then switch partners. With this convention, it seems like you have more time to develop the connection and trust between you and your partner. The first song is the introduction and the warm-up—feeling each other out, establishing the rhythms, learning each others movement style. During the second song, you’re primed. You’re warmed up, you’re feeling more comfortable with your partner and you begin to explore a little bit more. By the third song, you’re in it together. You’ve gotten the introduction out of the way, you’ re comfortable and you can just connect and dance. I noticed when I was dancing that by the third song in the tanda, I had almost forgotten about everyone else in the room. When dancing and when observing the dancers, there was a feeling of electricity in the room. You could almost see the energy that the dancers had created with their partners. I’d never seen anything like that before. 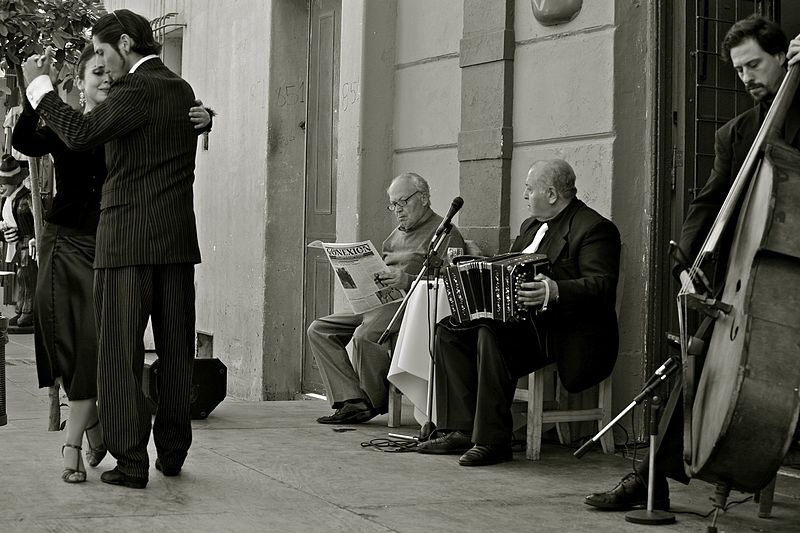 Argentine Tango is a beautiful dance with a rich history—if you haven’t checked out Roberto Ramirez’s series here about the history of Tango, do yourself a favor and check it out to learn more. Your experiences with Tango are probably very different from mine—these were just my observations from my first real foray into this incredible dance. If you’ve been intimidated to try Tango for the same reasons I was, just give it a try. You might find a new favorite dance form! And for all of you tangeuros who have been with the program the whole time…I feel slightly jealous, but I’ll catch up eventually.